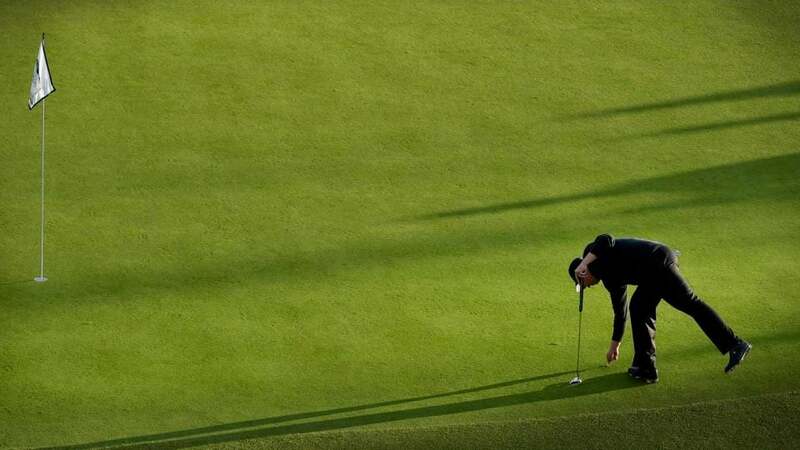 Golf Rules: I spun my ball off the green, but can I fix the ball mark? Rules Guy: I spun my ball off the green, but can I fix the ball mark? Spun off the green; now what? The Rules of Golf are tricky! Thankfully, we've got the guru. Our Rules Guy knows the book front to back. Got a question? He's got all the answers. I hit my approach onto the fringe, and the ball spun back a few inches. Before my next shot, I tamped down the pitch mark, which was nowhere near my line, but my playing partner called a penalty for tamping. Was this correct? —CHRIS GILES, VIA E-MAIL Your fix was fine. Under Rule 13-2, you can repair a pitch mark as long as doing so doesn’t involve improving your line of play, the area of intended stance or swing, or the position or lie of the ball. Any of those issues would yield a two-stroke penalty in stroke play or loss of hole in match play. Meanwhile, tell your playing partner that the Rules Guy Oath mirrors the Hippocratic Oath: First, do no harm. I play a lot of golf away from my home course. Occasionally, when entering my score in GHIN, the scorecard’s rating and slope differ from the GHIN numbers. Should I use GHIN’s numbers or manually enter the scorecard’s? —CHUCK MENDELJIAN, TEMPERANCE, MICH. Golf clubs typically print thousands of scorecards at a time and surely prefer to work through this inventory rather than print new cards should the digits change. So GHIN is more likely accurate, but the smart play would be to check with the club for the current rating and slope. My ball plugged in some wood-chip mulch around a tree. As a fellow competitor watched, I lifted the ball to see if it was embedded. It wasn’t, but a piece of bark fell into the plug hole before I could replace the ball. Did I have to remove it? —JERRY DUFFY, GAMBRILLS, Md. The Rules of Golf don’t consider loose impediments—in this case, those wood chips and the fallen bark—to be part of the lie of the ball. What results is an equity decision, where you have the option to replace the ball on the loose impediment or move the bark and then replace. ---------- Of course you do! Whatever it may be, send yours to [email protected] and the question may be answered in an upcoming issue of GOLF. Until then, play by the Rules!